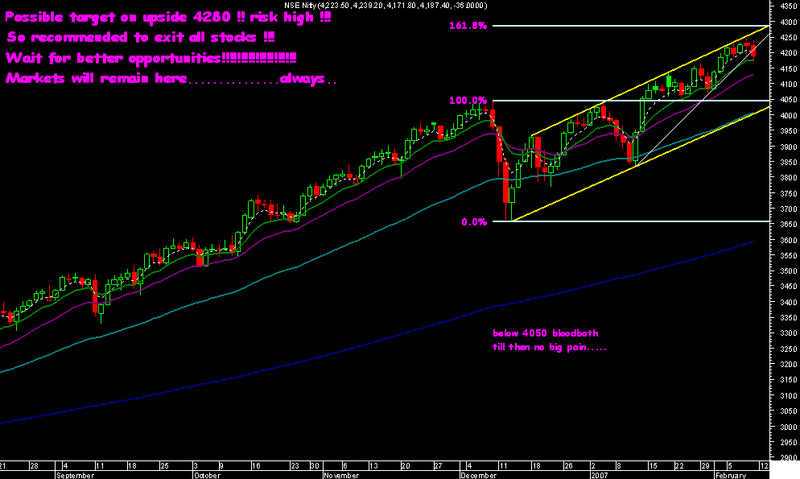 Sensex And Nifty View …risk…. As written before be ready to exit all at one go and that was the exit strategy i have been writing till now so if you are one of the regular readers you must have understood what is to be done!!!!! This doesnt mean i am calling it doomsday but its plain simple conserving capital is also important !!! 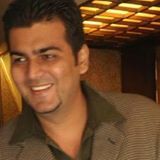 My way of analysis says if you cant go fresh long at any juncture you dont stay long !!!!!!!!!!!!!!!!!!!!!!!!! 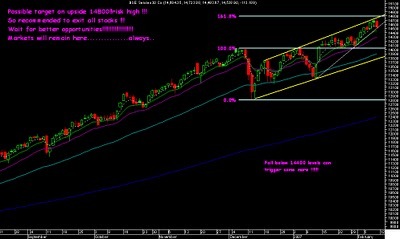 Targets on upside possible 14800 and 15050 ....We may be bullish again only if we sustain abov 15050 levels ...Simply put we are not interested in the last 100-300 points gain ....We have had enough !!! 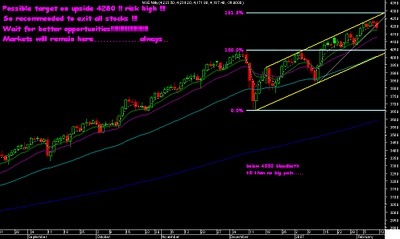 !The Sensex is at top of channel and a fall below 144000 will open gates to 14050 and 13700-135000....Below that scary!!!!!!! 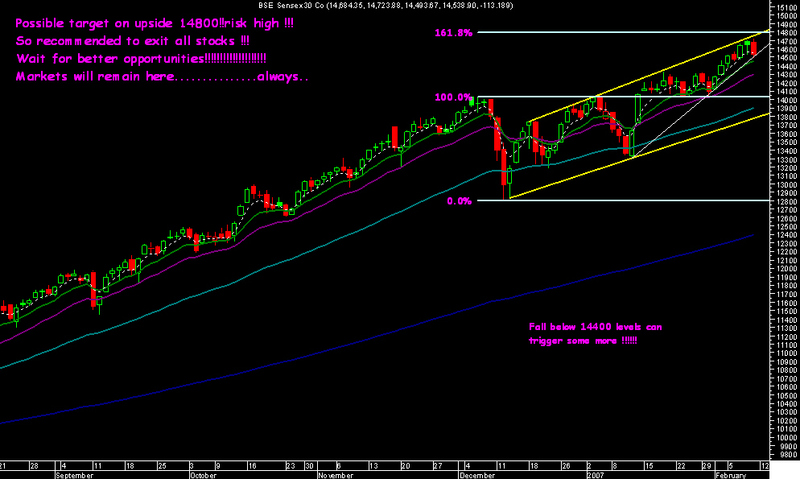 Possible downside risk is very much is around 13500-13700 levels !!! ...So its obvious risk to reward is not gr8 !!! So exit was given on friday .,.. We expected the little jitter of 100 odd points .. But the crack in your portfolio (which may not generally be blue chips) if you check , is enough for you to understand our concerns about exitting !!!!!!! Fresh shorts are opening up in various stocks ,....If i do get time will update that list too !!!!! !